Welcome to Sonny's Custom Shop. We invite you to browse through our store and shop with confidence. We invite you to create an account with us if you like, or shop as a guest. Either way, your shopping cart will be active until you leave the store. The Paypal checkout is preferred, or checkout will also accept credit cards orders without having to set up a Paypal account. Placing an order constitutes acceptance of the Terms and Conditions (link at the bottom of any store page) so please read them. There is a $5.00 order minimum, since many of the lower priced items have shipping included in the price. 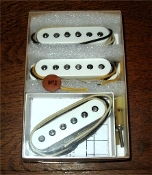 Since I mainly do custom pickups, there are not a lot of stock model pickups shown, but don't hesitate to ask if you want some kind of pickup you don't see listed. I do a lot more kinds than just the ones shown. Also use the contact page if you need any rewinds done. I do most vintage types, very reasonably priced on a time and materials basis. The amp parts and guitar parts shown here are in general just extras that I have excess of, and/or keep in stock locally for my repairs, and make available here. I typically have more variety of parts in stock than what is shown here. Plus I can order just about any part you might need. If you don't see what you want or if you have an issue, please use the Contact Us page to let me know. If you'd like to hear customers comments or demos they have made of some of my pickups, there are MP3's on several of the links below, and customer comments on the facebook page. 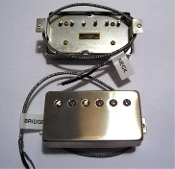 Copyright © 2011-2019 Sonny's Custom Shop. All rights reserved.